In the 1930s and 1940s office space design, if you could call it that, was largely influenced by the assembly line. Workplaces were designed like factories and this remained largely unchanged, until the 1980s, when the paradigm changed with the onset of knowledge work. The computational power on the desktop transformed the way people worked and this in turn affected work place design, which over time has become focused on achieving higher levels of engagement, innovation and creativity. Today the level of collaboration that is required in most work places would have been unheard of in the 70s and 80s. The question now is how do we balance the requirements for collaborative work space together with individual focus work space and natural work space or as I like to call it nature space? Most workspaces today don't allow for enough collaboration or individual focus space, never mind nature space. Yet companies that offer more choice of all three types of these work spaces see greater business impact. 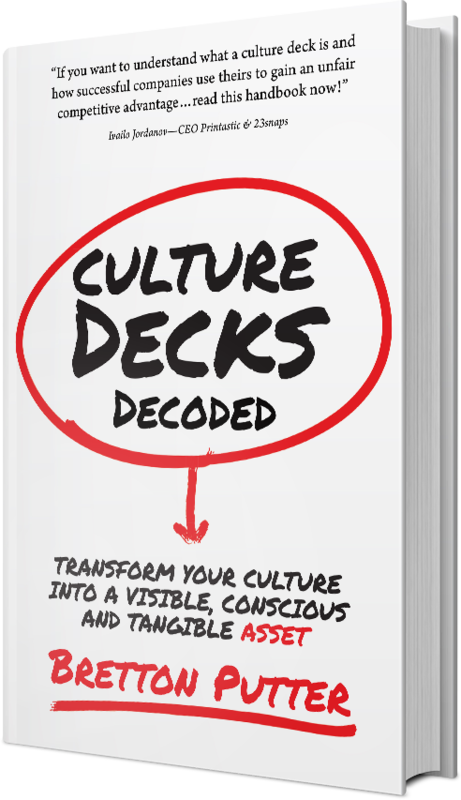 The question for a CEO is how to build a workspace that results in a creative environment where the team has access and connectivity to people, resources, tools and space, allowing them be innovative and inspired to do their best work. An environment where serendipitous moments can happen and result in a more powerful work experience. Most companies today recognize the need for separate areas for down-time or collaboration space. If your business can afford it you will incorporate biophilic design into these spaces and build all three concepts into the offices, the way that Facebook, Virgin and Google do. The questions for cash strapped start-ups CEO are: what is the impact of biophilic design, what options are there to include biophilic design in your office and why is it so important to do so? E.O. Wilson, Harvard University socio-biologist and conservationist [https://en.wikipedia.org/wiki/E._O._Wilson], popularized the term Biophilia to describe the extent to which humans need to connect with nature and other forms of life. As Wilson describes it: “Biophilia is the innately emotional affiliation of human beings to other living organisms. Innate means hereditary and hence part of ultimate human nature”. There is a lot of research backing up the good that plants do in our work spaces. In 1989 NASA conducted a Clean Air Study showing that certain common indoor plants provide a natural and highly effective way of removing toxic agents such as benzene, formaldehyde and trichloroethylene from the air, helping neutralize the effects of sick building syndrome. The NASA research suggests that efficient air cleaning is accomplished with at least one plant per 100 square feet of home or office space - the list of air filtering plants. Where is the value in biophilic design? In 1994 Kamal Meattle, CEO of Paharpur Business Centre & Software Technology Incubator Park used the NASA study to improve the air in his 50,000 sq ft office. Kamal is allergic to Delhi’s polluted air and in this TED talk he discusses how he discovered a combination of 3 indoor plants that can filter the air, and give him all the fresh air he needs. His solution is so effective that it is possible to live indefinitely in a sealed room with enough of these three plants. Areca Plant converts CO2 to Oxygen during the day. You need 4 shoulder-high plants per person, and need to wipe the leaves regularly. Mother-in-Law’s Tongue converts CO2 to Oxygen at night and you need 6 waist high plants per person. Money Plant removes formaldehyde and other volatile chemicals from the air. It was also found that productivity increased by 20%, and energy usage was reduced by 15%. Forty percent of the world’s energy is taken up by buildings and this type of solution could reduce that significantly. Virgin are big proponents of biophilia, citing this global report by Human Spaces into the impact of workplace design in a recent article, which revealed that, "employees who work in environments with natural elements report a 15 per cent higher level of wellbeing, are six per cent more productive and 15 per cent more creative overall". Furthermore “Biophilic offices will look different to normal, but – crucially – they will also feel different. There are three central facets a biophilia-friendly workplace will include: nature present in the space; patterns or forms that evoke natural elements; and structures, which replicate natural spaces. A deft combination of all three has been proven to directly improve the way people feel about and contribute to work, generating that magical sweet spot between better staff wellbeing and better financial returns." biophilic design is not a luxury, but is a way to improve profits. Over the past few years support for buildings, urban spaces and office spaces that integrate nature has been growing and the reason why companies like Facebook, Google, Virgin and cities like Singapore and Amsterdam are investing so heavily into biophilic design is because it has been proven to reduce stress, prevent illness, enhance cognitive skills and improve performance. Before I met Sarah Bartley, the founder and CEO of a brand new startup called Fern & Noble, I had never heard of biophilic design. Her new business makes it easy and affordable for companies to include biophilic design in their offices. Where did the idea for Fern & Noble come from? It grew out of a desire to get people to reconnect with the natural environment. There are not enough examples in London of biophilic design and its benefits mainly because it is usually associated with large architectural projects with large budgets. Large companies are investing in biophilic design for a reason and I believe that smaller companies should be able to access the advantages too. Fern & Noble is creating a modular solution for the London market to make it easy and affordable to include professionally designed plantscapes that are also functional, for any sized office. What’s the background to your interest in biophilic design? I discovered biophilic design about a year ago, which was when I came across the amazing images of vertical gardens and green-architecture in Singapore and I remember thinking this is how all cities should look. When I began to research it I found that there are piles of evidence and multiple studies from institutions like Yale, Harvard and NASA that show that people who work in a biophilic space are happier at work, do better at their jobs, are more productive and more creative. Apart from improved productivity and well-being, plants are sound absorbers, produce fresh air, offer insulation, climate control, and can reduce energy bills. What’s there not to like about all of these positives? 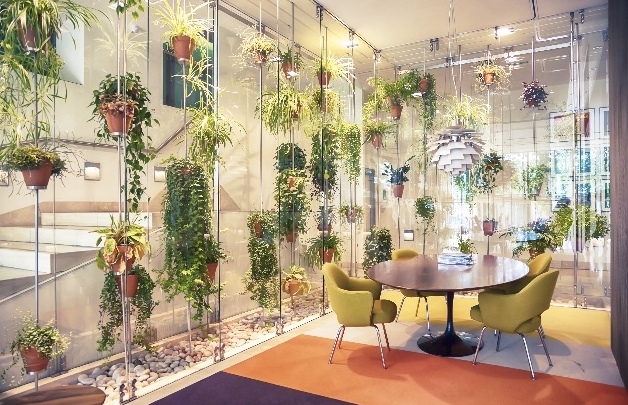 Isn’t it just about adding some plants to your office? It’s not just about adding pretty plants. A true biophilic design is about optimizing the space for humans using nature’s own ecological and physical properties. We consider traffic flows, creating purposeful spaces for group or individual needs and ways to give-back or offer something special such as edible varieties for employees to use or sensory benefits such as scent and touch. What sets Fern & Noble apart is we do this using designs that are mobile so that they can be installed practically overnight to start seeing these benefits straight away with minimal expense and intrusion for your office. In addition we represent a number of European Manufacturers so we have already done the shopping around for you and can offer a number of high-quality options for you to choose from. We are interested in offering the best options for a company’s specific requirements and therefore do not restrict our clients to one technology or supplier. No, the first business I started was a Pet Services company in Canada. After leaving the film industry I was searching for something meaningful to me where I could really make a contribution. I have a gift with all animals and am especially good with dogs. I had rehabilitated dogs from an early age and became certified as a master dog trainer. I initially got a job for a company in Vancouver but I decided to set up my own business when I wasn’t entirely happy with their care and I wanted to do a better job and offer a better service than the company I was working for. Two legs and a pack of business cards! I literally started off by visiting dog parks and approaching people who were walking their own dogs. I would pass them my card, tell them a bit about myself and say that I would love to take care of their dog if they ever needed someone. I think the friendly approach worked well for this business and soon my schedule was full. What set your service apart? I think our values really separated us from what others were offering. I wanted to be there for every dog (Hence the name Mutt Buddies), especially the ones who really needed the extra compassion or training. Because I have a way with dogs I was able to take the ones that other companies wouldn’t work with. I never turned down a client. Operationally there was a strict routine to ensure safety and a good time! A week long on-boarding process as well as ongoing on-the-job mentorship for my staff ensured these processes were learned and followed. I set out to create a company for happier and healthier dogs and grew the business to four dog walkers who all lived this philosophy. There were sometimes scuffles but never anything serious. I used to carry pepper-spray as a last resort if there was ever a really bad fight but thankfully never had to use it. You will find with the right calm assertive energy tense situations can be spotted and diffused early-on so we never let it get to a point where emotions ran high. You grew the team to four, how did you hire dog walkers? You don’t find professional dog walkers in the same way as you would find a marketing professional for example. Most with any prior experience will work for themselves. In the interviews I was looking for the right character traits to shine through. I also looked for evidence of good-leadership and a make-it happen attitude as well as common sense for safety and customer relations. Dogs are family for most people so you have to be able to know and trust that this person would look after the dogs in the same way that I would, with a level of care the owner would expect. I was really fortunate with the walkers I selected. My first two were real colleagues to me and stayed with the company right until the end. How did you create discipline among eight dogs on a leash? Dogs are all about rules and structure. If they know where the boundaries are and you set your expectations you won’t have any issues. In the beginning you have to control every part of the process. How they get into the car, how you let them off the leash. There is a defined process to everything, which helps you maintain your authority and control. How did you interact with the dog owners? Because all the fun happens without them present we needed a way to communicate what their dog got up to while they were at work. I decided leaving a branded calling card was a straightforward solution. A handwritten note would detail the pick-up and drop-off times, where we visited, a funny story or if there was anything the owner should be aware of – a scratch or a limp. Like parents the dog owners loved to hear if their dog made a new friend, how they got along with the others and where they went for the day. The feedback was that the owners loved the cards. I would also post photos on our Facebook page. We really had a lot of fun on the walks and the cards and posts helped my clients experience that.